One of my former coworkers is a photographer, she does a lot of portrait work. 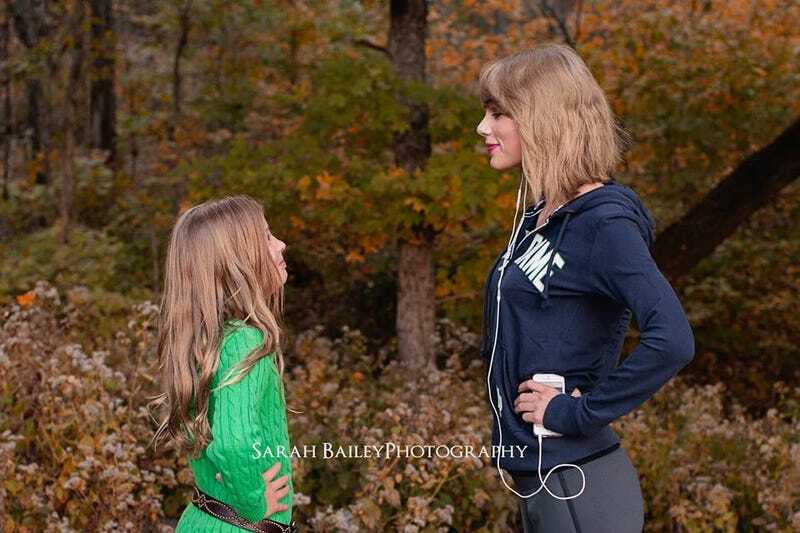 She was taking pics of a girl in a local park and Taylor Swift jogged by, and just popped up in the pictures. I can't help it- I'm totally team Swift now. She is adorable and randomly makes people's day all the time. Plus- Sarah's name is all over the pics. If you need a photographer in the Nashville area- hit her up. She does good work.